LS3 Studios is an award-winning full-service multimedia studio in Louisiana. We provide services in multimedia, photography, storytelling, videography, and filmmaking. 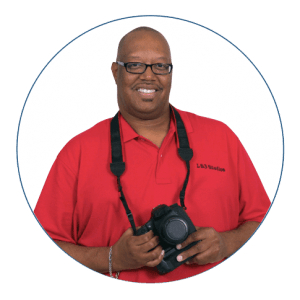 LS3 Studios bring the benefits of the internet and digital video technology to small businesses, individuals, schools, and not-for-profit institutions. Our studio is a state-of-the-art, all-digital suite. We are available for on location video/photography projects. LS3 Studios offer a variety of services that include image and audio editing, production of broadcast quality video and multimedia presentations, custom photography, and web development. We take pride in providing clear and intuitive access to archives and information as well as staging compelling narratives using digital media. The studio’s creative team of producers and writers are dedicated to educating, entertaining, and inspiring audiences through innovative storytelling. As an independent studio, LS3 Studios has produced the following projects: “From Shanghai to Harlem” winner of the Gold AVA Award and Bronze Telly; “The 100th Anniversary of St. Joan of Arc Catholic Church,” winner of two Bronze Telly Awards and “A Legend in the Classroom-The Life Story of Ms. Yvonne Busch” winner of the AVA Platinum Award, Hermes Gold Award and Bronze Telly Award. LS3 Studios has a proven successful track record with technology. We have produced projects and videos for Xavier University of Louisiana, Black and Indian Mission Office, Washington DC, Treme Charter School Association, Dillard University, Blessed Sacrament-St. Joan of Arc Parish, Ohio State University, Tulane University, Friends of Joe W. Brown Memorial Park, Rich Girl Collective, Fannie C. Williams Charter School, Narrative Network, New Orleans Public Library, Ruby’s Restaurant Lafayette, Royal T Fitness, LLC., Blueprint Marketing & Public Relations, Cozy Couture SPA Parties, Roots of Faith: Ancestry on Catholic Life Television, Robert R. Moton Charter School, O2 Face and Body, Dr. Danielle Dore, Second Mount Calvary Baptist Church, Herlin Riley (musician), The Josephites, Terrebonne Genealogical Society, Peonage Detective, New Orleans Public Schools, St. Raymond-St. Leo Parish, Algiers Charter Schools Association, OW Dillion Preservation Organization, and the Louisiana Recovery School District.